You’ve all probably heard and seen about what’s happened recently. If you haven’t, go to the blog and look at the post two down from this one. That should answer your questions. We have some gaming news based on what’s to come in the near to somewhat near future. News on SIP is pretty much self-explanatory. Enjoy the update and your limited Shoutbox time. Are you anxious to play the beta for Destiny? If so, you only have 2 months to wait. Bungie announced this week on Twitter that the Destiny Beta will be happening sometime in July. The actual date will be announced at the E3 Press Conference in June. Also mentioned in the report is Activision’s planned budget for funding and promotion of Destiny. The grand total is a whopping 500 million dollars. While this may seem (very) high, Activision claims additional money for future work will be much lower with the infrastructure already having been built. For the first time since 1997 the Need for Speed franchise will not be releasing a new title this year. The new developers for the game, Ghost Games have decided to take the time to create a more innovative title than games of the past. While the game is already heavily into development, they are listening to fan feedback and want to make it better for them. As the first yearly franchise to stop pumping out games and take the time to deliver a better experience for the fans, they should be applauded. Now if other studios would follow the same idea the quality of some of our favorite games would improve and become even better. For those of you getting Watch_Dogs, the trailer for the Season Pass was released showing you exactly what to expect post launch with the pass. The long awaited by many, High Life Update finally has an official release date. The newest free update to GTA Online is set to release on May 13th next week. So on Tuesday, you will gain all of the new content in the update. The update includes new features including the Player Mental State which allows you to see how sane or psychotic your fellow criminals are, the option to purchase two apartments, and “Non-Contact” Races which allow players to phase through each other during a race. 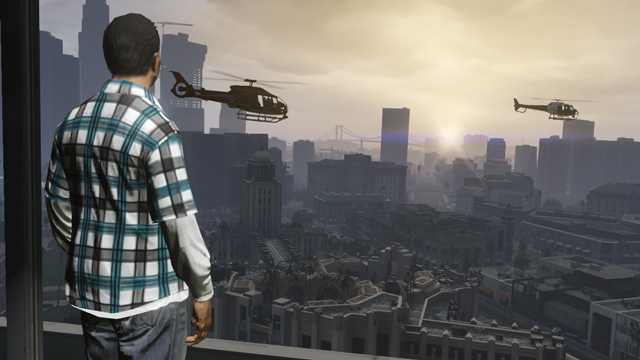 Of the new content included are five new apartments with new interiors in some prime real estate. 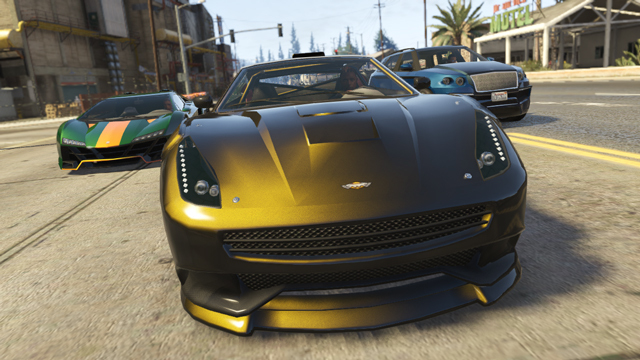 The new Enus Huntley S SUV, Dewbauchee Massacro Sports car, Pegassi Zentorno Supercar, and the Dinka Thrust motorbike take to the streets with new horn options to really give them that unique feel. The Bullpup Rifle comes to Ammu-nations and new attire in the clothes shops around the state. There are also 15 new Jobs, 5 of which are missions, and new toasts, taunts and celebrations for when you win. As many of you have probably already seen, yesterday, May 8th, was SIP’s 6th birthday. After starting out as a small B.net community with the goal of helping with achievements, becoming the largest group on the site, then moving onto this fancy site here, we’ve made some progress. As a community project, Deadly Chikadee with some help from the Communique has created a video based on the evolution of the group. It’s a half hour of everything SIP is. You can watch the video below. SlashingArbiter is hosting an SIP Custom Game Night in Halo 4 tonight at 10pm EDT. If yu want in on the fun, just show up or sign up here. Tagged Destiny, GTA Online, Halo 4, Need for Speed, SIP day, Watch_Dogs.